Several fixed and indexed annuity accounts offer income riders as a way to provide predictable income payments during retirement. We can help you compare these riders to see which products are best suited to meet your future income needs. There are many different income rider variations to choose from. Some riders have no cost while others charge a small fixed fee that’s withdrawn from the accumulated value of the account each year. Several factors will determine which riders offer the best income, including: your age, gender, deferral period, spousal continuance, rollup and payout percentages, and whether payouts will be flat or increasing. Usually we would place a chart here to help you compare the best annuity income riders, but it’s more complicated than that. All owner information must be plugged-in to see which plan(s) offers the highest income for a particular person. The two most important variables in determining future income are your age now and your age when you want income to begin. All things being equal, some products may illustrate better after 10 years of deferral as oppose to 11 years or longer. Gender can affect income streams as well as joint payouts that include a spouse. And some products and riders will not be available in some states. In other words, we illustrate payouts on a case by case basis. An income rider that increases in deferral by 7% each year can actually pay less than one that increases by 6.50% Why? It’s because the income payout percentage after deferral. Maybe the 6.50% rollup offers a 5.50% payout percentage when payments begin and the 7.00% account is at 5.00%. That half-point can make a big difference, but we will help you sort through all of your options to maximize your future income stream. Income riders are best understood as sub-accounts. They are separate account values used to solely to calculate a future income stream for the owner(s). In other words, there are two accounts at work: the the walk-away account value (accumulated value) and the income account value. The walk-away account is the accumulated value available for withdraw, surrender or at death. There are no strings attached and the owner (or beneficiaries) are free to do what they want with these monies when they want. The income account is the second value and is used only to create a lifetime stream of income. It is usually greater than the walk-away amount, but it’s not available for a lump-sum distribution. The income account can only be accessed through a lifetime annuitization. While in deferral, the income sub-account guarantees a declared rate of return each year on all monies deposited – usually 5-8%. It may also offer a premium bonus depending on the rider and the annuity itself. The account value increases each year by the declared rate until the rider is activated (annuitized) and lifetime income begins. Once the income rider is activated, annuity owners may have limited access to their principal, but lifetime income is guaranteed. The insurance company is obligated to continue payments even after the walk-away and/or income accounts have been depleted. In most cases, income riders have an annual cost to the contract. This cost is taken from the walk-away value, but it does not affect the income value. Income riders usually cost a few basis points each year – one percent (give or take) is a common amount. Typically the higher the annual cost, the better the annual increase while the account is in deferral. Most income riders require at least one year of deferral before annuitization. It is not uncommon for annuitants to defer their income for several years in order to guarantee larger future payouts. It only makes sense to purchase an income rider if you are relatively certain that future lifetime income is what you desire. When ready, policyholders can withdraw systematic income from their accounts. The amount deposited, time in deferral, and rider selected will determine the future payment amounts. Income payments can be withdrawn monthly, quarterly, yearly, etc. In some cases, future payments can increase year over year if the underlying annuity has performed well, but they will never be lower than what is guaranteed from the start. Systematic payments can increase (never decrease) based on the performance of the annuity itself – even after annuitization has begun. Once a new level of income is reached, then payments cannot go below that amount. 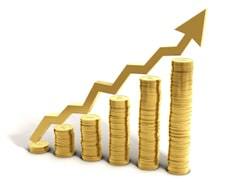 Indexed and inflation adjusted annuities allow income payments to grow year over year. Your income payments (and growth) will be determined by the rider you select. Is Lifetime Income Really Guaranteed? The short answer is yes. Fixed and indexed annuities are insured and backed by the full faith of the issuing insurance company. During the great recession, very few insurance companies became insolvent. Annuity providers are highly regulated and have strict capital reserve requirements. All that being said, it is wise to choose a well-rated insurance company when considering income riders. Many annuity providers have been doing business for several generations and always made good on their promise of future income payments. Not all income annuity accounts are created equal. There are several moving parts that can affect your future payments. When thinking of future annuity income payments, it is a good idea to speak with a knowledgeable agency (like ours) and compare all of your options before purchase. Need insurance? You're in the right place. Contact us to grow your business. We discuss current events, products and innovations in the insurance marketplace. Copyright © 2019 Hyers & Associates, Inc. All rights reserved.